IPhone 8 Vs Samsung Galaxy Note 8–Which One to Pick? You might be thinking about getting either iPhone 8 or Samsung Galaxy Note 8 and you are not able to decide because you don’t have complete information about the specifications of the phones. The best way to know which offers you value for money is to compare features included particularly the camera and security. Noelle Neff, an experienced photographer, shares some of the features highlighted between the two phones, and much of her focus is on the cameras. Here is a comparison that will help you to easily choose between the iPhone 8 and Samsung Galaxy Note 8. From the iPhone 7, the iPhone 8 is a better deal as it comes with modest enhancements. It features two 12-megapixel rear-facing cameras, one with a telephoto aperture of f/2.8 and the other at f/1.8. It also comes with a fast and larger sensor that makes low-light results better and the snaps speedier. It offers spot-on exposure even when lighting is inconsistent. On the other end, the Galaxy Note 8 offers 12MP dual rear cameras of f/2.4 and f/1.7 aperture. It allows you to do optical zoom and portrait shots. So, which of the two wins when you take the camera as the sole comparing factor? This comes as a draw. The Samsung Galaxy Note 8 features the Exynos 8895 chip for some parts of the world and the Qualcom Snapdragon 835 for other parts. In both cases, the phone is a complete powerhouse. With the 6GB RAM, the phone runs smoothly. It also looks like Apple might come with a commanding lead when you consider the performance of the iPhone 8. The A11 Bionic chip used on the iPhone 8 is a complete upgrade from the A10 Fusion chip that powered the iPhone 7. The iPhone 8 is more powerful and it performs better at multitasking. The first thing you probably will look at before picking either the iPhone 8 or the Galaxy Note 8 is the design. On the iPhone, there is no much difference from its predecessors when you consider looks, but there is some little addition to the glass backing that replaced the aluminum finish. The upgrade is slick but the look and feel is generally the same as before. If you jump on to the Samsung Galaxy Note 8’s look, it offers an almost all-screen design that leaves thin bezels at the bottom and top. It looks striking, so if this is your consideration before picking one of the two, the winner obviously is the Samsung Galaxy Note 8. One of the benefits of the iPhone 8 is the wireless charging system, which Apple embraced starting with the iPhone 8 Plus. However, it seems it’s not that special in this battle as the Note 8 also uses such a charging system. Both rely on a Qi coil for charging, which means you can use any pad that is compatible to charge your phone. Additionally, the phones come with fast charging capabilities, but on durability of power the iPhone seems to score better. The efficient operating system of the iPhone 8 is the contributing factor to achieving higher battery life. Other features you might want to consider when comparing the two is ease of navigation. You will find that the Galaxy Note 8 comes with the S Pen, which adds a productive boost for users of power. The Galaxy Note 8 has also scored better when it comes to supporting Gear VR and DeX Station dock, which are not possible on the iPhone 8. Of course the iPhone 8 wins on storage as it offers both 64GB and 256 GB models with options for expandable storage. The Galaxy Note 8 comes with only 64GB storage with micro SD expandable capability. About the author: Noelle Neff is a professional photographer covering niche markets. She graduated from the University of Miami and is based in the same city. Noelle Neff is also a renowned blogger on topics such as photography and travel. You can also find some of her shots at various online stock photo sites. The modern-day marketing scene is nothing like what it used to be just a stone’ throw of years back. Nowadays, it’s all about SEO, keywords, backlinks, and content marketing. More so than these aspects, it’s also about social networks and blogging. However, many businesses are struggling to see how these social networks, and blogs, are able to help their business develop and, therefore, expand, helping them to become increasingly successful. Today, we’re going to explore several ways these platforms can help you transform your business into something amazing. Let’s start simple. Utilising social networks and blogging platforms within your business is going to help you drive traffic to your business’s website. To achieve this, you need to consider how people go about actually finding your business. More often than not, users will use a search engine, such as Google. If you’ve got good SEO practices in play, you’ll hopefully come up near the top of the page. However, if you’re not, you need to think of other ways to attract an audience. By posting content marketing blogs onto your blog, and then sharing these blogs on your social media profiles, you can dramatically boost your incoming traffic rates. I’m not saying that you’re about to go off and lie to your customers and they’ll trust you because you’re on a social network. However, internet users don’t tend to see social networks as marketing tools, but as social networks. This means when you’re posting to your feeds for your followers to see, they are much more likely to engage and respond to your content, rather than dismissing it as an advertisement. 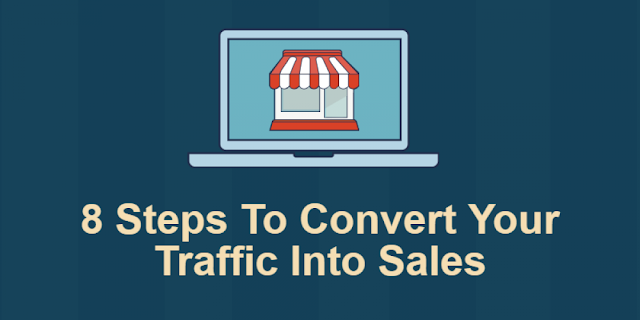 Again, this helps to boost your website traffic tenfold. One of the best features of social networks is the fact you can customise your advertising campaigns to suit your needs. For example, are you trying to sell yoga classes to 19-25-year-old females in the downtown areas of LA? This is all very achievable through social networks and can save you a tonne of time and money when it comes to advertising. As you’re developing your business and expanding, it’s your aim to become the leading brand in your industry. To do this, you need to be the hub of information for all your clients and customers. This means answering all of your customer’s most common questions about your industry so they know if they ever have a question or query, they can come straight to you. This is why a blog is so important as this will be your platform for answering these questions. You need to ensure that your blogs are the highest quality, have no errors or grammatical mistakes and shine out from the rest of your competition. Hand in hand with the consideration above, the quality of your content posts is essential. You’ll need to invest real time and effort into creating the best blog posts you possibly can. If your readers are reading your posts, and they’re not up to scratch, they’ll simply dismiss your content, and you’ll have lost a potential lead. Many businesses nowadays are turning to academic writing services since they can create high-quality articles on your behalf. The services are becoming so popular that they were recently featured on the Huffington Post in Write My Paper. Blog posts are equally important to your business’s development to your social networks. For example, if you upload a blog post today, you might share it on your social media profile and get, say, 100 views. That’s great, you might have generated 20 leads, and everything is looking great. However, that blog post is now an indexed page on your website and will continue to gain traffic for as long as it’s on the internet. Over the course of a year, this blog post might have amassed over 10,000 views and generated over 2,000 leads, a figure that can’t be easily dismissed. Author Bio: Rachel Summers is a freelance writer whose passion is helping students get the most out of their learning journey. She started out as a writer and journalist in the newspaper industry, including Revieweal, before breaking out to go freelance and follow her own passions. Her writing is designed to help you get the most out of college. Life for a blogger can be difficult sometimes. Most days, ideas come to you naturally, while other days make it impossible for you to write. If you’re struggling with ideas for your blog, consider these topics on our comprehensive list to spark your imagination. 1. Listicles – List anything you want to talk about in an easy-to-read format, with short sections, like this one. 2. How-To Posts – Describe how to create, fix, or begin a project. Use step-by-step instructions with simple language so all of your readers can understand. 3. Case Studies – Outline and review the details about a situation, process, or project for that you would like to highlight. 4. Problem and Solution Posts – In an essay format, describe a relevant problem to your audience and articulate a solution. 5. SAQ Posts – As a sister post to the FAQs, the “Should Ask Questions” post outlines what people should ask but often do not in a particular situation. 6. Checklists – Much like a listicle, checklists offer even shorter sections that are easy-to-read. Using bullet points, you’re able to engage a wider audience of people who want quick information. 7. Series Posts – Create more than one post to develop a series on one overarching theme. 8. Research Posts – Conduct your own research that makes content on your blog unique and engaging. If other bloggers want to use your information, they have to give you the credit. 9. Ultimate Guides – Just like it sounds, ultimate guide posts feature detailed, comprehensive information on a topic in your niche. 10. Statistics Posts – In your research, you might want to break down your information into basic statistics that everyone can digest easily. Use a listicle or checklist format for a simple post, or offer explanations on the particular statistics you’ve constructed. 11. Definition Posts – Your niche could be complicated for some people to understand, so write posts that clearly define different parts of the subject matter. 12. Posts from YouTube Videos – Cut up your own personal YouTube video, or one that has gone viral, into screenshots that give an engaging narrative to your audience. Your well-crafted content could gain instant popularity. 13. FAQ Posts – It’s a staple for a reason—a “Frequently Asked Questions” post delivers common information that all of your followers want to know. 14. Comical (Or Not-So-Comical) Rants – Show your human side by revealing your passion in a long-winded, opinionated post. It’s a great time to express your funny or angry side. 15. “Behind the Scenes” Posts – Offer your loyal following a “day-in-the-life” type of post, which uncovers both the mundane and exciting moments of your day as you create content. 16. Inspirational Stories – Whether the post is long or short, people love to hear about others overcoming obstacles. 17. Vacation Posts – Are you taking a holiday? Bring your followers with you by describing the highlights of your trip. 18. Vulnerable Posts – This can be raw and revealing, but the goal is to let your guard down and let readers know more about you. 19. Posts Completely Off Topic – If you’re constantly churning out posts that cover only one subject, randomly insert a post on a different topic entirely. It’s a refreshing twist that can expand your following. 20. “Who’s Who” Posts – Think about the people in your area worth following, and write about them! 21. Picks of the Week – As a popular type of series post, your “picks”—movies, music, food, etc.—create an anticipating vibe that make readers come back for more. 22. Posts About Quotes – Share your most favorite and relevant quotes from influential people. 23. Profile Highlights – Write about someone influential who you feel deserves the spotlight. 24. Interview Posts – Describe a conversation you had with a noteworthy person, whether you talked by phone, email, or face-to-face. 25. Crowdsourced Posts – Gather multiple influential people together and have them concisely answer a question. 26. “Best of…” Reviews – Discuss your top choice about a certain product, service, or hot topic. Check out this example. 27. Productive Tips – Inform your audience on ways that they can make their lives better. 28. Income Reports – No one can resist the details of somebody’s personal or company budget. 29. Company Updates – If you have a business blog, make sure to tell readers about any new key information. 30. Posts to Showcase Projects – Why not let others see all that you’ve accomplished? Show off your exemplary pieces for the world to see. 31. Survey Posts – After surveying people on a particular topic, outline the results. 32. Product Comparison Posts – Compare your products’ capabilities so that you can offer competitive solutions. 33. Product Updates – Promote your new product and notify your readers about how it better functions. 34. Debate Posts – Create a post where you engage your readers in a debatable topic. Offer a counterpoint yourself or from another blogger. 35. “What If” Posts – Write a speculative post on an intriguing or popular situation. 36. Predictions – If you combine the “What If” and debate post concepts, a prediction post could conjure up a lively response from readers. 37. Reaction Posts – Use your platform to react to hot-topic content already created by other bloggers. 38. Attack Posts – This one isn’t always recommended, as it evokes a lot of anger, but you could call someone out if you’re enraged. 39. News Posts – Be timely and well informed—your readers would enjoy a truthful take on real-world events. 40. Meme Posts – As a humorous piece, this post could involve popular visual content that goes viral across the web. 41. Parodies – Get your imitation game-face on with these posts. You could create a hit with posing as celebrities or other influential mass-media individuals. 42. Cartoon Posts – As a developed series, your humor can come alive through these visual posts. 43. Satire Posts – Another option with comedy involves using irony or extreme exaggeration for your content. 44. Trends Posts – Are you a trend-setter blogger? Keep your readers in-the-know with posts about the latest trends. 45. Challenges – Playful and daring, you could easily give your audience a challenge that could promote them to foster better habits or broaden their perspective. 46. Contests – They are a fun option when you want to reward your readers for their loyal following. 47. Freebies – Everybody likes free! Gain followers and embrace the joy of giving here. 48. Local Reviews – Become a self-proclaimed critic of local restaurants or popular movies in your nearby theater. 49. Entertaining Stories – Instead of inspiring, this type of story is for entertainment purposes only. Ensure readers are engaged by using plenty of relatable description! 50. Goodbye Posts – Whenever you need to take a break from posting, or you decide to quit your blog altogether, you must inform your readers about it. This way, you don’t just leave them hanging. With all these different types of blog posts, there has to be one you can now choose from and write about. Perhaps all you need is a touch of humor for your personal blog, or more instruction for your technical website. Whatever the case, you will surely be able to write about something now that you have this ultimate list of blog post ideas. Author Bio: Justin is a teacher from Leicester, England, UK. When not teaching his little students and rooting for Leicester FC, he loves to share his thoughts and opinions about education, writing and blogging with other people on different blogs and forums. Currently, he is working as an editor at the writing service Bestdissertation. Follow Justin on Facebook and Twitter. Flipkart’s Big Billion Days are here and it is Amazon’s Great Indian Festival Sale. This is the perfect time to buy something online with exclusive discounts up to 70% on all kind of products online. If you are looking to buy a smartphone for yourself or anyone else, this is the best time to grab one with the best discount on it. Yes, it is hard to find the best discount on best smartphone that delivers optimal performance for the price bought. I have sorted out all the best deals on smartphones that are worth buying in this festival season (No . Have a glance at the following lists once and pick your best item. Blogging has evolved into a powerful medium to educate people, raise brand awareness and voice opinions. Blogging has also become an effective source of income for the creative minds. In other words, if you can share engage the readers on a blog, you can draw in more leads to your business. People hate the boring articles. Therefore, it is important that you first take out some time to research the interesting topics for your every post. To serve this purpose, you can also check out your previous posts that have the most number of views and comments. This will give you an idea of what kind of topics you should cover in your blog. Moreover, you can also offer your audience to suggest you any topics that they want to read about. What can be more engaging for your readers than reading articles on their favorite topics? Visual content has the power to engage a large number of readers. Therefore, it is important that you include any type of infographics, charts, and presentation on your blog to make it interesting for the readers. In addition, you can also entertain your audience by using the screenshots, appealing images, and interesting videos in order to get their attention. Live video streaming is one the most popular form of visual content you can use to engage your audience. Without a doubt, a title is one of the effective elements of every new article. Therefore, it is crucial to create a catchy for your every post. While it might take some time before you can come up with a catchy title but it worth every minute of your time. Remember that a clichéd title is one of the biggest “turn off” for any reader. Therefore, when you finish writing your article, it is equally important to grace it with an appealing title. Don’t use too many colors or font because it will confuse the reader. If you’re running a blog, then it’s important for you to understand how colors can affect the attention of your reader. Use sophisticated color in the background of your blog with a stylish font to provide a better impression. The combination of colors will not only fail to drive attention of readers but also kill the existing readership. Using unreliable sources of information to write a blog significantly reduces its authenticity. To lend credibility to your blogging, you need to ensure that each of your articles contain authentic information. Never write articles similar to already published blogs. Such practice not only affects your blog visibility on the search engine but also questions your integrity as a blogger. Hence, you should always refer to authentic sources of information and use them in your own words in the article. Truly the more blog post you’ll share the more you will be able to engage your readers. However, you need to consistently post compelling content that can offer value to your readers. Ultimately, you will be able to draw in a large proportion of users who are active on social media and redirect them to your blog. Long paragraphs tend to turn off the readers. Therefore you should keep your paragraphs short and brief. Avoid elongating your paragraphs to more than 5 lines. Keep your focus on a single point in each of your paragraphs. This will make it easier for your readers scan the important and relevant information. The conclusion is the part of an article where you can leave your readers on a thoughtful note. So you should make the most of this portion of your article. Always leave your readers with a closing paragraph that precisely summarize your thoughts. Remember that an article without conclusion makes the readers clueless about the gist of the topic. Blog writing is only as successful as it engages the readers. By following the aforementioned tips, you can pull in your target audience and make them your loyal readers. Wish you best of luck for your blogging gig! Author Bio: Jessica Barden is a Writing Expert, Pro Blogger, and a Social Media Marketer at WritingBunch.co.uk. She is also the author of many renowned ebooks on online marketing. After advertising has taken the new shape, the online marketing has evolved into a structure that push the promotions through the tiny amplifying nodes to the customer. Technically speaking, the advertisers started to hire publishers (bloggers and content makers) for job specific tasks like their product promotions which turned out to be the easiest and affordable way of piercing through market verticals. Started in 2013, as a platform to bring the advertiser and publisher on one platform, Adsterra has been growing its base on the either ends. This advertising network has grown its premium base to 10 billion impressions per month by the end of the year 2016 thereby expanding the opportunities for the advertisers and still is open to take in more potential publishers. Why join Adsterra network as an advertiser? Adsterra network offers the access to the smart advertising platform for businesses to promote their products or services to get the bigger numbers on the ROI table. It has a network of 4000K+ publishers (both niche specific and premium) to push the product through to the customers eyes on the web; specifically to the chosen ones. As an advertiser, you can chose your best fitting pricing model and pay for performance delivered. The pricing models that you can chose from are CPM, CPA, CPL, CPO and CPI (PPI). With the high quality traffic from their publisher network, you will get better impressions, leads, conversions and sales. Basically, as an advertiser, you can target the specific class of customers through the smart targeting system of Adsterra network. The targeting can be filtered by the geo location of the user, browser one uses, the device and it’s vendor, via mobile networks and Wi-Fi, by the type of operating system they are using and keywords they use in search engines. If you could remember, you would be shown ads related to your phone model, browser on social media and apps asking you to buy something or take some action. For example, if you are using Samsung Galaxy Note 8, you would be shown an advertisement asking you to protect it from fall-disasters by buying a bumper case. Another example you would have noticed is an advertisement asking you to install antivirus for you operating system. This is how you can target your customers based on the aforementioned filtered channels which is a flexible benefit to the marketing team. How to install retargeting solution on your sales website? A piece of Adsterra code will have to be placed on the webpage or landing page that stores a cookie on the users computers on their first visit and recognizes the user on the later visits to show them the ads you wanted to display. Adsterra offers 4 types of display ads, leaderboards, rectangle, skyscraper, and popunders. Leaderboard – Leaderboard ads are long horizontal ad banners with highest conversion rates. These banners can be placed under the content and beside the headers on the landing pages. Rectangle – Rectangle ad is also on of the most common type of ad formats with highest conversion rates. These are highly preferred ad formats in the market and they can be blend into any type of content and sidebars of the website or landing page. Skyscraper – Skyscrapers are vertical long ad banners that looks like the rotated version of the leaderboard ads. They also have good conversion rates and are less likely used on the website. But, the skyscrapers on landing pages give better results depending on the design and layout of the page. Popunders – These type of ads are seen behind the main window and are not actually visible until the main browser window is closed. One can notice these ads running on the taskbar as an extra browser window. These ads will not disturb the user until he choses to opt-out of the current main window. Creating, managing and analyzing campaign results would not need a personal assistance. The user-friendly campaign dashboard will let you take all the steps without any confusion. The automated system will eliminate the need of a personal manager to handle campaigning business on Adsterra platform. One can make any changes to the campaigns based on the targeted audience and performance. Become Adsterra Advertiser to boost your ROI on digital marketing efforts through channelized targeting. Why join Adsterra network as a publisher? Publishers or the content creators have equal opportunity on Adsterra. With the best CPMs in the market and 100% self-claimed fill rates, this ad network offers best customized solution to monetize the content on the website for publisher. The fraud detecting system stops the harmful ads that carry malware on to the devices intelligently before they even appear. As a publisher, one can effectively take the advantage of the diversity of the ad formats available. Every impression on the site is monetized with 100% filled rate of the ads with best CPM rates from the large advertise base. Adsterra filters out the ads that bring malware and other harmful adware to the devices they are displayed on. Their fraud detection system will not approve the ads carrying suspicious push codes. Apart from the leader boards, rectangle, skyscrapers and popunders, publishers have access to utilize the interestitials, direct links and video banners. Interestitials – Full page ads covering the whole screen. Direct links – Links inside the content. Video banners – Video banners playing video ads blend inside the content of the pages. Adsterra pays its publishers twice in a month according to their NET15 policy. Once the minimum threshold of $100 is reached, the payment will be automatically initiated. One can get paid though Bitcoins, wire transfer, Paxum, Payza, Paypal, Webmoney and ePayments. Note: The wire transfer will take highest charges of all other payment modes i.e., $50 but for EUR wire transfers. All the wire transfers will be done within 3-5 business days. Become Adsterra Publisher and start monetizing your content. You don’t need to have a blog or you don’t need to be a blogger to earn from Adsterra Network. You can signup to its referral program and promote your link with the referral ID. Once someone joins the network as a publisher, a 5% commissions from their earning will be credited to your account for lifetime. You can have access to the statistics and reports like the publishers get. How to earn big with Adsterra referral program? Place your referral link inside the content that you write on social media or other platforms (including the blogposts if you can manage). Add reviews on Adsterra platforms and place your links inviting the readers to join the network. Spread the word to your friends and colleagues through any messaging platform. Refer your link in relevant community discussions and comments. Do not spam! You can use your referral link through contextual advertising like AdWords or similar tools. You will also be given the appropriate banners to promote your referral link. A personal manager who takes cares of it all will help you with the choosing of size of banners and type of banners you need. Join Adsterra Network Referral program and make the monetize your online presence. I believe this ad network would become one of the best monetizing solution to the publishers and a fine advertising network through channeled targeting. Tell me what do you think about Adsterra and share you experiences with us in comments below.